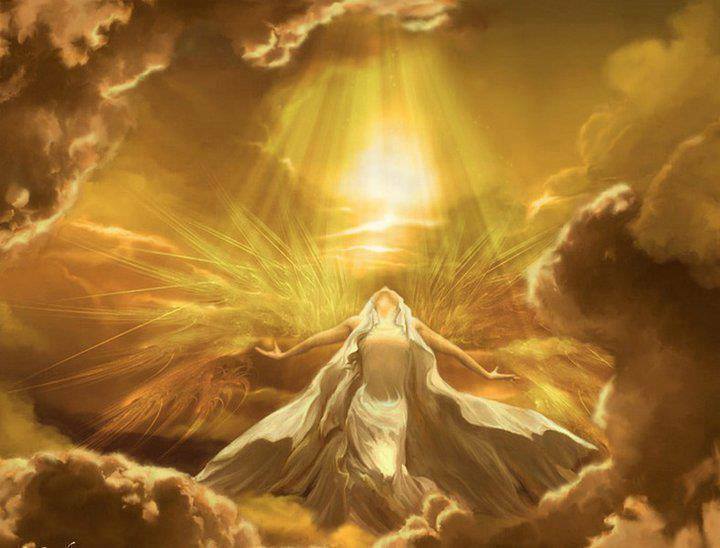 You’re invited to a sacred space where you can connect with the Divine Feminine. 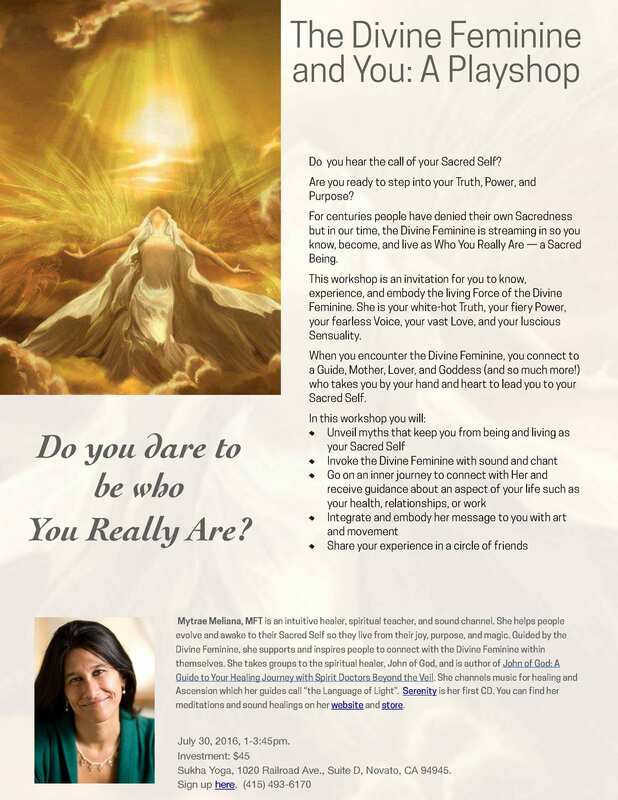 You’re invited to know, experience, and embody the living Force of the Divine Feminine. She is your white-hot Truth, your fiery Power, your fearless Voice, your vast Love, and your luscious Sensuality. If you’re feeling called to know and feel Her, whether you’re beginning your relationship with Her or deepening it, then check out this workshop. I’m happy to announce my newest offering: “The Divine Feminine And You: A Playshop” at the lovely Sukha Yoga in Novato on July 31st at 1-3:45 pm. I’d love to see you there! And please share with anyone who may be interested.